Area rugs are a great addition to any home that make a huge design impact on an interior. Just place an interesting new rug with some personality, in any room, and you’ve got a new look for minimal install and hassle. 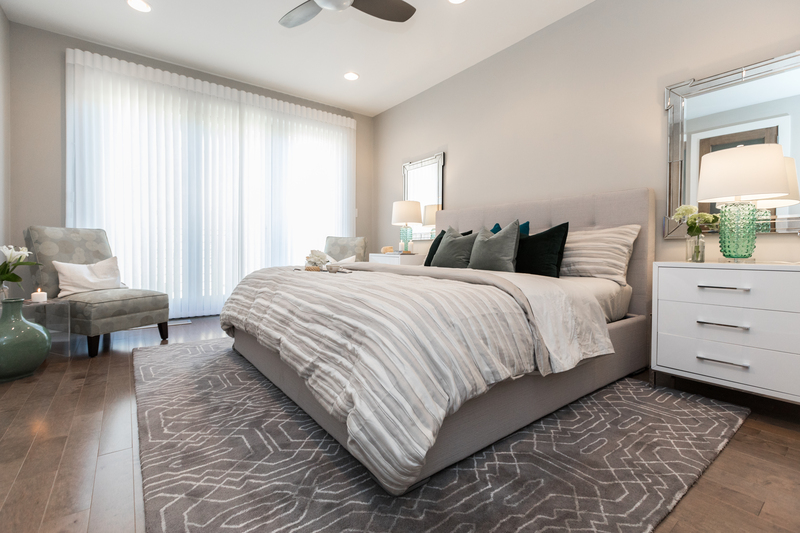 Whether you decide on a rug that has pattern or is more simple, area rugs have the power to alter the look of the room. Colors in a rug should tie in with other key accessories in a room like pillows and wall art to create a cohesive palette. Rugs have the power to enhance the existing atmosphere of a room by complimenting the colors of the walls, furniture and other home accessories in the room. Rich jewel tones are bold, vibrant colors that pop in any space. They are a bright and playful color choice and are extremely popular in rugs at the moment. They pair well with geometric prints and will give a space a bright, modern look. If bold color isn’t for you, solid color rugs in a neutral color palette is the way to go. Neutral doesn’t mean boring. Neutral rugs allow for statements to be made by other items in the space, like chairs, home accessories and art. They will pair well with a variety of colors and design styles because of their toned down color palette. Solid style rugs can still draw attention with intricate patterns and designs. Solid color, tone-on-tone textures add the right amount of texture and pattern while still being able to calm a room and bring balance. Layers of color and texture in a room work together to add personality and dimension in a subtle way. Make sure to double, triple check that you have the right size rug. If the rug is too big it will eat up space and your room will feel small. Rooms in your home should feel as big as possible to create a sense of movement and flow. Need help choosing the right carpet size? Apartment Therapy’s “How To Pick the Perfect Rug Size for Your Room” is a great guide. Educate yourself on the construction of rugs. You should be aware of how materials in rugs behave based on your friends and families experience. You should also be aware of the different constructions of rugs, like woven, tufted and machine made. Some constructions require rug pads and have longer lifespans than others. Henck Design often uses hand-tufted rugs because of their affordability and great quality. Don’t forget to take risks with an area rug. Depending on the construction of the rug, they can have a short lifespan and are easily replaceable. The great thing about area rugs is that they can take up as much or as little space as you want or need. They’re the perfect home accessory to tie together a room regardless of whatever pattern or color you choose. 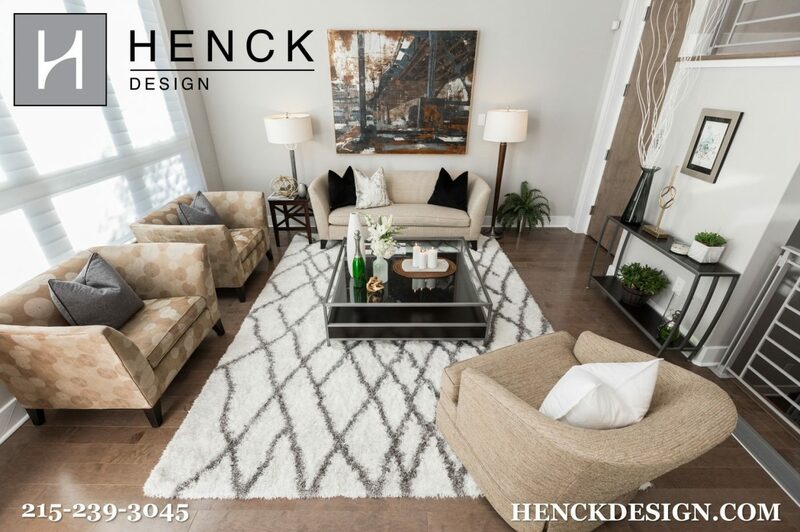 When Henck Design chooses rugs for our clients we take into account their lifestyle, the décor of the room and the personality of the clients and their home. 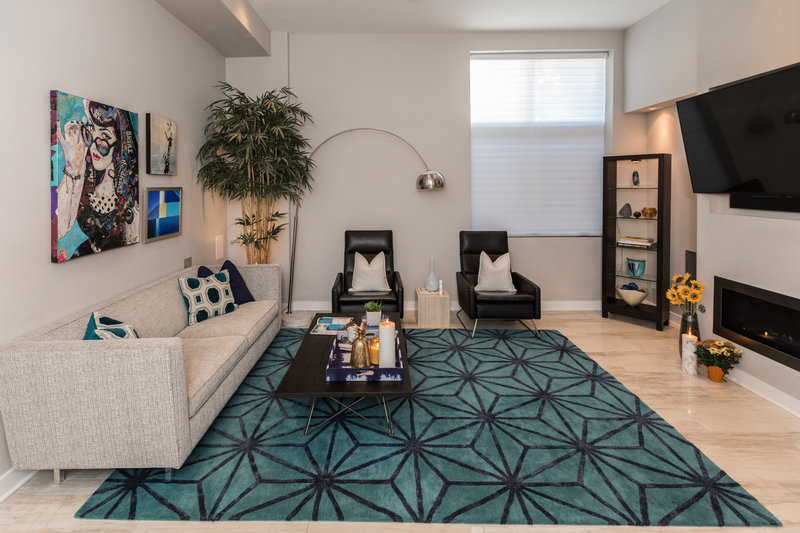 Need help selecting an area rug that fits your personality for your space? 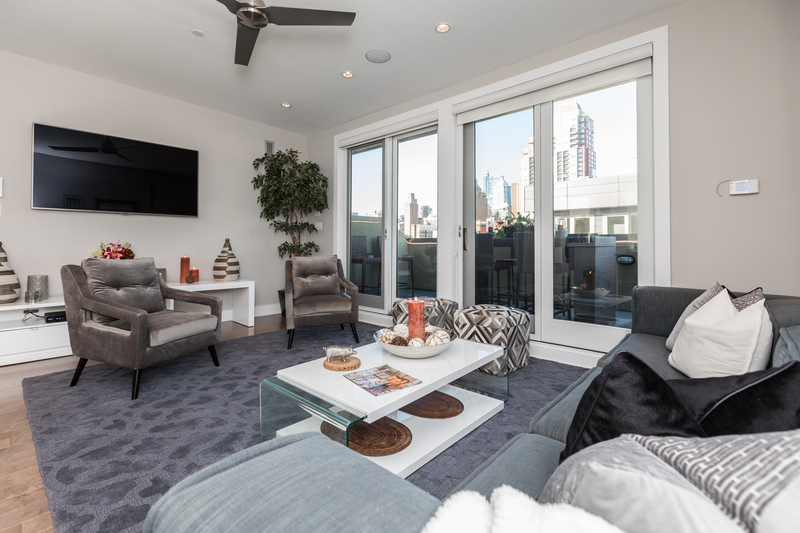 At Henck Design, we work with our clients to implement their design style into their home. Contact Us for more information on how we can transform your interior into an inspiring, unique space.